Winnie Harlow walks the runway for Marc Jacobs SS18 fashion show during New York Fashion Week at Park Avenue Armory on September 13, 2017 in New York City. Winnie Harlow looked exotic wearing this matchy-matchy head wrap and dress combo. 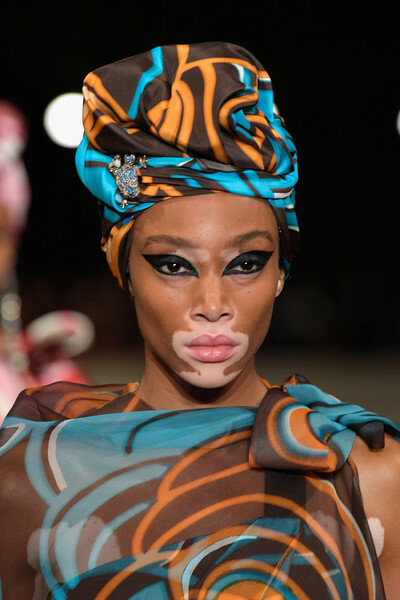 Winnie Harlow rocked Cleopatra eyes on the Marc Jacobs runway.